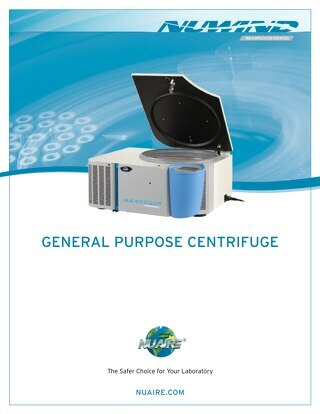 Ventilated bench top centrifuge model NU-C200V was tested to predict the temperature rise of a sample to help you determine how long your centrifuge can spin samples before a rest period is needed. 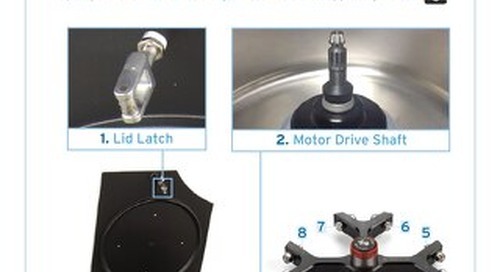 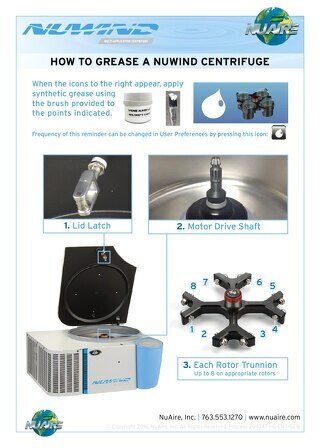 ​Learn the proper method to grease your general purpose centrifuge to extend product life. 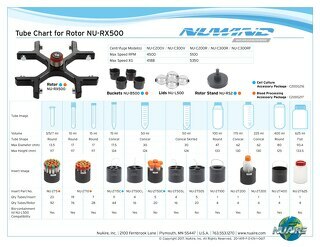 NuWind Benchtop Centrifuges offer a safe and dependable solution to separate samples featuring tool-less rotor removal to quickly change applications.